Modern technologies allow remote access to the gadget on Android, which may be necessary in cases where the phone, tablet was lost or stolen, forgotten at home. The lack of a device at hand can lead to serious problems due to the presence of a large amount of personal information, important phone numbers, attached bank cards that criminals can use, so the availability of such a function has become a kind of standard and necessity. If you have lost or forgotten your smartphone or tablet, you can get information from it, block it, get location coordinates, or perform other actions. Very popular remote control of Android and parents who want to control the location and occupation of their children, their hobbies in their free time, while adults are at work. enabled state of the gadget and access to the Internet for communication and transmission of commands. Note that the method of connecting to the Internet is not critical and remote control can be provided both when the gadget is on a Wi-Fi network and on mobile networks of any generation. Regarding the latter, it is necessary to say the following: often, to save traffic, users turn off the automatic connection to the data exchange, but this can play a bad service in an emergency because of the inability to access. Today, it is possible to control the gadget remotely via the browser of any computer or with the help of special programs installed on a smartphone or PC. The latter are synchronized with the gadget and after that are ready for use at any time in just a few clicks. Remotely control an Android phone from a computer. How to setup? A universal way to control a gadget from a PC or laptop is to use the program. TeamViewerwhich remains one of the most popular remote access applications. In our case, the corresponding application from Google Play will be used as a client, after installation of which you need to record a nine-digit smartphone ID and password. The latest data is already entered in the application on the computer, which will allow you to connect to the device. 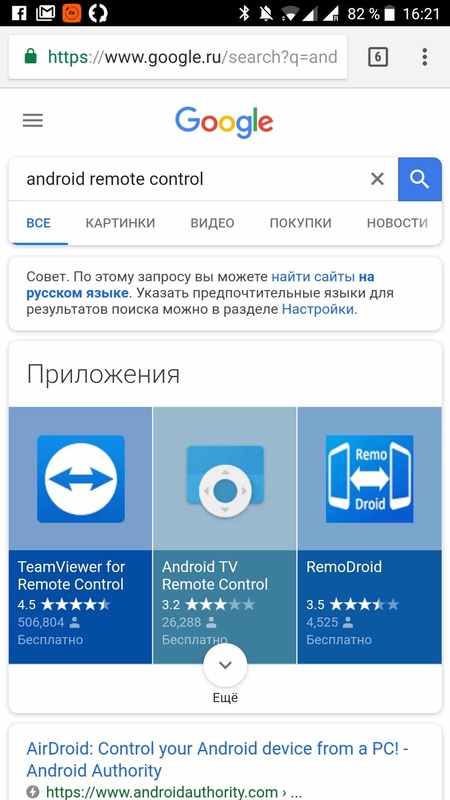 An alternative to TeamViewer will be to control Android from a computer using the application. AirDroidwhere direct control comes through the browser. Additionally, on a paid basis, the application allows you to use a conventional and front camera in a remote mode, transfer files of more than 50 megabytes, which is important when downloading information during a theft. 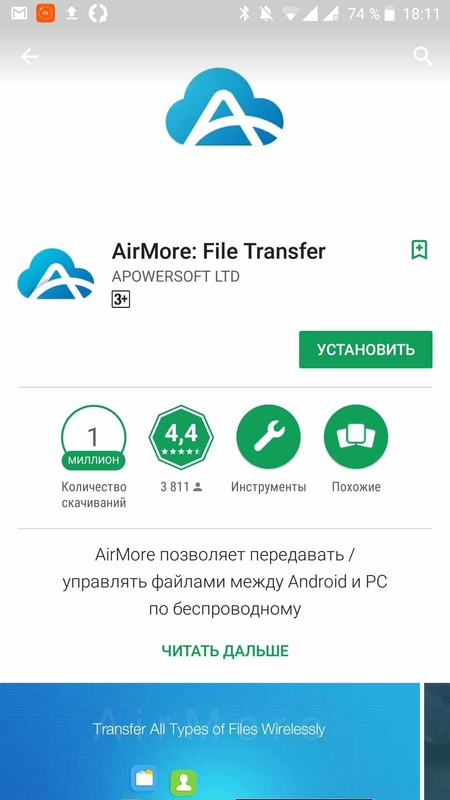 The third way to remotely control the gadget on Android will be the application Airmore, it is free and does not require any account information, which is very convenient. 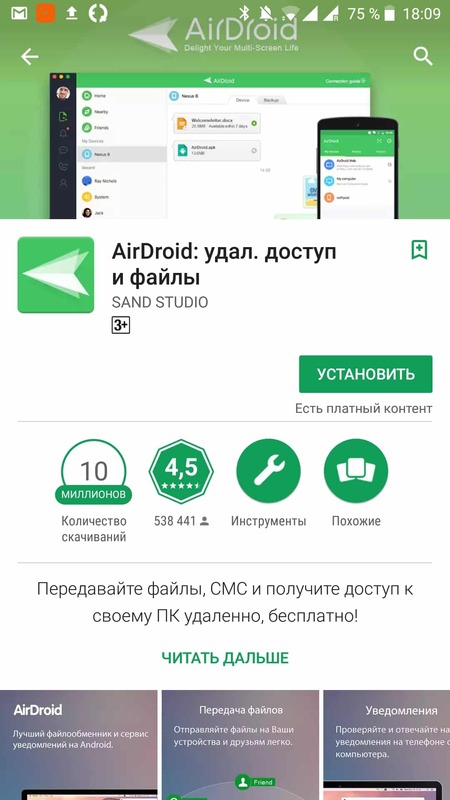 A certain disadvantage of the application will be the lack of a Russian version, but if you are friends with English, then this will not be a problem for you. 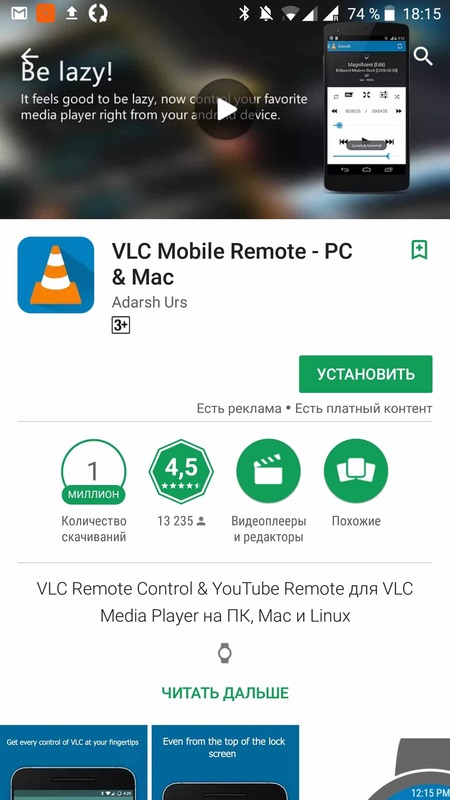 VLC Mobile Remote - Another popular application for synchronizing gadgets on Android with a computer. Work with applications installed on your smartphone or tablet. the ability to erase all information from him. It must be said that the service functions are limited to these, therefore, similar applications with more features are very popular. There are both free versions of these programs and paid options. In the truncated version, functions are usually limited to desktop translation, keyboard and sound control. In the paid versions, it is possible to transfer files, launch and view videos, manage print and other functions (the specific set depends on the type of program). How to choose a remote access program? the required set of functions (you just need to find or erase the phone or get full access to its information). It does not hurt to also test various programs for remote control of Android, to choose the most convenient for you. And in conclusion, we will pay attention to the tariff plan that is assigned to the SIM card in your smartphone or tablet. If you are going to remotely copy a large amount of information through a mobile network, then you should take care of a sufficient amount of traffic. Otherwise, you may encounter large mobile phone bills (especially for roaming traffic).